Regardless of what major retailers and the secular culture may be telling you, ’tis not the season of Christmas…yet. It is not time to deck the halls with boughs of holly, and if you happen to find yourself driving past a Christmas tree lot, fight the urge to pull over. Instead, dare to be counter-cultural. Why? Because we are Catholic and it is Advent. “In the first coming He comes in the flesh and in weakness; in the second, He comes in spirit and in power; in the third, He comes in glory and in majesty; and the second coming is the means whereby we pass from the first to the third.” (Fifth sermon for Advent). “Changing customs, especially in connection with preparation for Christmas, have diminished popular appreciation of the Advent season. Something of a holiday mood of Christmas appears now to be anticipated in the days of the Advent season. As a result, this season has unfortunately lost in great measure the role of penitential preparation for Christmas that it once had.” (Pastoral Statement on Penance and Abstinence, National Conference of Catholic Bishops, 1966). As Catholics, what can we do in the face of our increasingly materialistic and highly secularized culture? First, do not feel the need to go along to get along. Just because everyone else is doing it is not an excuse. This is the beginning of the new liturgical year for the Church, and not simply the biggest shopping season of the year. It is also not mandatory that you decorate your house early simply because friends, family and neighbors are doing so. Dare to be counter-cultural, because we’re Catholic and it’s Advent. 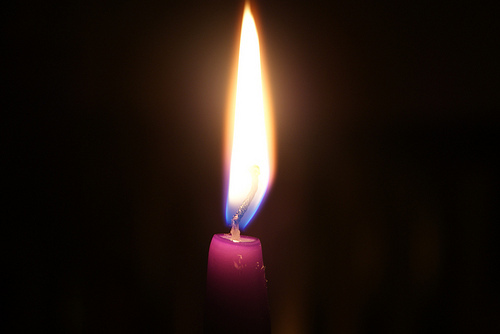 Second, begin the season of Advent with a sincere and exhaustive Examination of Conscience and then go to Confession. This is a time to prepare yourself for the coming of the Lord. Third, give up something for Advent just as you would for Lent. This can be difficult during the season as many others are already celebrating with parties, exchanges, candy and more. Little sacrifices and penances, however, are excellent ways to help us grow in virtue and holiness. Posted on December 1, 2013, in holiness, life and tagged advent, advent 2013, advent practices, advent traditions, dom gueranger, liturgical year advent, penance, season of advent, usccb advent. Bookmark the permalink. 6 Comments. It is difficult to not get swept away by the culture but our family will be turning off the radio and turning on our Advent at Ephesus CD. We’ll put up our Christmas decorations on the 24th and keep them up until the 2nd of February. We will be using a Jesse Tree and giving up something while doing some fasting. It is our first year doing it and the pressure is already on from family members who find it “weird” that we don’t start celebrating Christmas until Christmas is actually here. But as the saying goes “no pain, no gain”. Great comment Cindy! This is exactly the point behind the post. Great job living the liturgical season of Advent. Many blessings! We can’t get Catholics to move or speak on any subject of actual importance, but like Cromwellian Puritans, we can all get together and ban Christmas? I despise the materialist aspect of it all. But banning it and simply throwing the calendar topsy-turvy? Is there even any actual Church tradition backing this up or are we making this up as we go along? I don’t think your intentions are ill-placed, but I’m just saying: -banning Christmas-? This is a bit of a shock. 2. Comment intelligently sans hyperbole on said article. Thank you Jeff. You are absolutely correct. The article is about celebrating the liturgical season of Advent during Advent, and Christmas during the season of Christmas. God bless and may you and your family have a blessed Advent 2013! Great thought on why we as Catholics are called to be counter-cultural!